At a Board meeting on Tuesday, January 18, trustees approved a request that, if granted, would result in French Immersion being offered at the kindergarten, grade one and grade two levels at White City School, effective the start of the 2011-2012 school year. 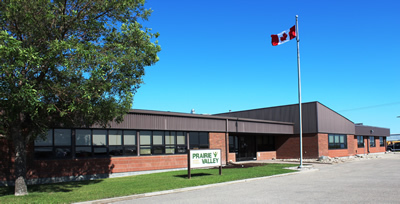 Board Chair Ed Geall said Prairie Valley School Division is committed to offering students a full range of courses and opportunities and has identified a need for more second language programming. “As a Board, we are very excited about this new course offering for students,” Geall said, explaining the Division held public meetings and surveyed parents to determine interest in developing a French Immersion program within the Division. That process resulted in White City being identified as a viable site for a French Immersion program beginning this fall.